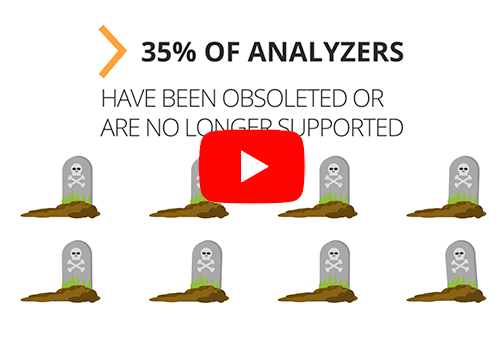 Has your cytometer been obsoleted? Is it no longer serviced by the original manufacturer? Since Stratedigm’s S1000’s launch in 2008, nearly 35% of competitors flow cytometers have been obsoleted, are no longer supported, or taken out of circulation. In comparison, every S1000 series cytometer we have ever produced is still supported by Stratedigm. Investment protection like this is only possible because of our dedication to a future-proof design backed by eight patents and more pending. Regardless of purchase date, the S1000 series is fully upgradeable across four generations—always providing our customers with the latest technologies. Our paradigm for instrument design ensures that service and hardware support are always there when you need it. With more than a decade long track record, our customers can continue to be at the forefront of flow cytometry technology. From the S1000 to the S1000EX to the S1000EXi to the S1000EON, we’ve always had our customers and their future research in mind. Innovating our groundbreaking technology is the key to the S1000 series’ unique future-proof legacy. Even with our platform evolving, our cytometers have always been backwards compatible. Whether you need to add more colors and lasers or build an extensive automation suite, your Stratedigm flow cytometer will grow with you. And between our continuous hardware and software innovations, you’ll find the perfect features your application needs. By allowing you to focus on your applications instead of the distraction of obsolescence, you can take full advantage of our products to exceed your latest requirements. Our Visual Protocol Designer (VPD) elevates your automated experiments; our Control Center gives you full visibility of your system and a new standard of service; and Universal API opens up a world of possibilities. No matter the challenge, Stratedigm will be there to support you now and in the future.